Here are a few of the Lovesail Crewing Posts July 2018. To contact the member just log into your account and go to the crewing section of the site. If you are not a member yet then join our sailing community for dating, friendships and crewing opportunities all around the world. We have different memberships to offer including a lifetime membership. I am wanting to sail the inside passage…anywhere in there for several years over the spring, summer and autumn months. I have a 5 year visa for USA but live in Tasmania Australia. If you would love to have me on board as cook and handy person, general duties but good at fixing, mending and relaxation massage, photography and art of all kinds, please give me a cooeeeee! I would love to return the pleasure to sail around Tasmania with you and /or land drive you to all important amazing places. Teach you to say, Goodah Mate! Aussie Aussie Aussie! Hi everyone, I’m looking for experienced crew to help me sail my 43′ Passport from Narragansett Bay to St. Augustine in October. I already have one crew but I have room for one more. As exact dates will be weather dependent, please don’t contact me if you need to sail to schedule. Seeking easy going , like minded folk who can fit in and enjoy the voyage and destinations. Applicants should be ready to pitch in with all boating chores + cooking etc and take full advantage to practice boat handling and navigation. Here are a few of the sailing opportunities for June 2018 that some of the members have posted on the Lovesail site. Log into your account for more details. If you are not a member of Lovesail then please come and have a look, we have full memberships starting at £22/$30 per month and a Lifetime membership for £52/$70 (one off payment), not many dating sites offer this. We don’t connect to other dating sites so you are guaranteed a global database of thousands of sailing enthusiasts. Sailing an Oyster 61 from the UK to the Med, departing 7 July 2018. Legs something like: Tyne to Southampton; Brest; La Corunna; Porto; Villamoura; Benalmadena; Almerimar; etc. Flexible joining and departing, as you like. Likely stops are going to be close to Easyjet airports to make it easy to come and go. The boat is well found and comfortable. The cruise would be a good way to pick up experience and miles. Plus the sun will shine! Am planning to sail down to The Scillies and back from Poole in August 2018, probably leaving on 8 August. 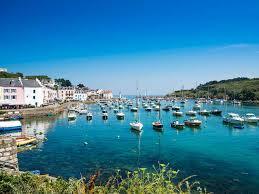 May also go from Scillies to France if time and weather permit. Have 1 crew coming and room for 1 more. My boat is a Westerly Storm 33. Seaworthy and quite quick. Message me for more information. Looking to connect with more New England sailors. I sail out of Winthrop and could take out small groups. I co-own a boat in the Aegean – she is a Hanse 350 – a few years old now, but still quick and easy to sail. I have a 2 week slot Sunday 1st July to 15th July. I am offering the opportunity to sail the magical islands of Greece for not cost (other than your own expenses). If you have time free for a super cruise from Zea marina (near Pireaus/Athens) where the handover will take place to Aegina, Hydra and possibly beyond, please let me know. I am a 59 year old retired American attorney. Thirty years ago I sailed from Texas to Florida and into the Bahamas. I swore I would once again liveaboard. It has taken awhile but now I am in Mazatlan Mexico the proud owner of a 2007 Hunter 38. It will go into the yard soon to install A/C, bow thruster and a generator. By the end of July I hope to untie the lines and head for La Paz and the islands off the west coast of Baja – truly incredibly beautiful. I am in search of a lady, a bloke or a couple to share the journey for a bit or more. Who know whats next the Panama Canal and Caribbean may beckon. Sailing experience a definite plus but a willing attitude and easy demeanor are equally if not more essential. Not looking for financial assistance or a sharing of vessel costs. Lovesail.com is a global on-line dating and social networking site for sailing enthusiasts since 2004. Come and join our friendly sailing community to meet other like-minded nautical nomads and sailing soul mates. Crewing Posts Spring 2018 – Lovesail Crewing Posts. Crewing Posts Spring 2018. Here are a few of the crewing opportunities that members have posted on the Lovesail site this Spring. If you are interested in any of the post then just log into your account and click on the crewing section for more details. If you are not a member of Lovesail then why not join our friendly sailing community? It’s easy to join and we have different memberships to suit individual needs. The South Pacific Cruising Season is finally here. I’m leaving Sydney for New Caledonia in my 48ft cat, first weather window in May. Have crew for the passage but none from the start of June. This looks to be the spot to put up a request to see who that is out there, who would enhance my journey by having them on-board as crew. I fell in love with Vanuatu last season, so that will be where I will be spending most of this season, in the remote islands. The villages have no TV, internet, smart phones and minimal phone reception, we are their reality TV. Vanuatu was labelled the friendlies place in the world a few years ago, for good reason. If a weather window of westerlies or southerlies presents itself, I’ll take the boat back to Fiji, to catch up with all the great people I met there last year. If it doesn’t, I won’t. Where too after November is still evolving, in my head. Micronesia and Palau is too the north, but a number of people have been raving about Fiordland on the west coast of the southern main Island of New Zealand. I have worked out the hard way that it is rare couple that can maintain a relationship while cruising, so I’m not looking for a relationship, but rather a good friendship that develops over time. The boat is big enough to maintain your and my privacy. The logistics of getting crew on-board for short periods of time is difficult. I end up getting stuck in marinas for a week or two, because I cannot assume there will be a favourable weather window, just prior to you coming or going. So minimum time is 6weeks. I have found the boat works best with a female crew. If there are rain squalls about I need to be focused on managing the boat, and it is lovely to have someone else, focused on the galley at those times. I love provisioning in the local markets and cooking too much, to delegate all of those tasks. The person I am looking for, after reading the above would be saying to themselves, this a dream opportunity, how do I make this happen, not can I fit this in around my vacation leave. It has taken me years of working and planning to get to this point, now it is time to continue the enjoyment of the journey. Planning to arrive Marmaris around 21st May, get my boat (41ft Beneteau Oceanis) rigged and then enjoy around 2 weeks sailing along the Turkish coast. 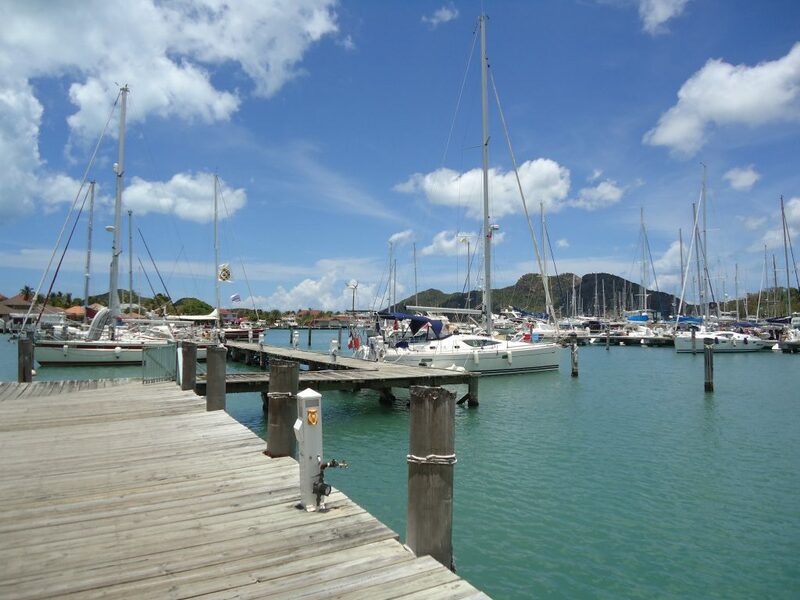 Very easy sailing with frequent stops for swimming, sight-seeing, meals ashore etc. Anyone want to join me? I wish to sail to Castel bay with 2-3 stops after which I will heading to south. I will sail in legs, first one I wish to finish in Dublin around 20th May. The end of passage will be in Canaries. 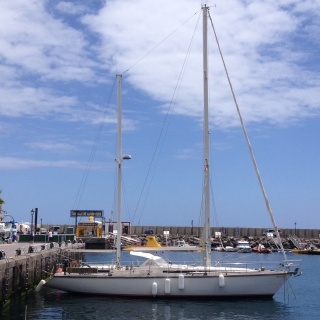 My boat is an old lady, Hallberg Rassy 35 very well equipped for long passage, I crossed the Atlantic twice. She could accommodate four but I prefer, for comfort matter, to be two or three on board. Lovesail.com is a dating and social networking site just for sailing enthusiasts. Join are friendly community to meet other like-minded people for dating, friendships and crewing opportunities. Here are just some of the crewing opportunities February 2018 from the Lovesail members. If you are interested in any then just log into your account and visit the crewing group link. If you are not a member of Lovesail, then why not take a look. Planning a shakedown sail from the Netherlands to the Baltic and back calling along the way to anywhere that takes the fancy with an overall time schedule of 6 – 10 weeks starting late March early April. 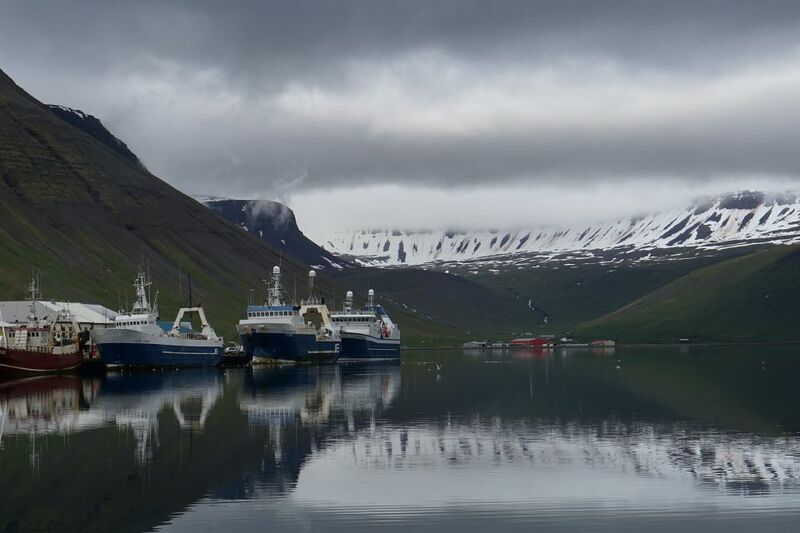 The boat is a Fisher 46 heated and with the Wheelhouse it should be warm a cozy whilst looking at amazing places. I have found an experienced Baltic captain and I am there as Skipper owner seeking a pair of good hands. A group set up to put people in contact with these events. I am keen to do these events so if there are any spots available please contact me. Thanks. 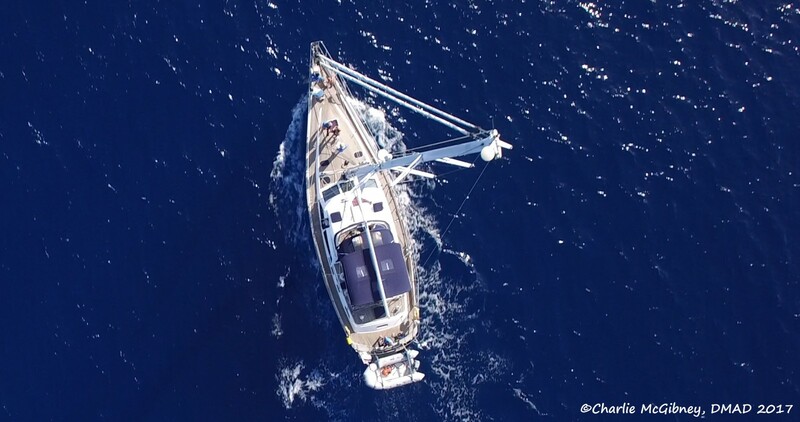 Departing Sant Carles de la Rapita, Catalunya, 1st/2nd March towards Gibraltar, via various anchorages, hopefully to include Formentera or Minorca. Duration 14 days including a 2 day stop over in Gibraltar or La Linea (which is just the other side of the Gibraltar runway). Departing Gibraltar 14th March towards Gran Canaria via Porto Santos or Madeira, possibly Lanzarote Graciosa or Arrecife. Duration 14 days. Other Skills, cooking, navigating & a sense of humour , etc., a bonus. Shared costs of €25 per day per person, whilst staying on board. Recommendations bring personal iPhone players and headphones and a sleeping bag liner. we have sleeping bags and towels. Please bring a torch, headlamps are best. Sorry no smokers please and no alcohol apart from that distributed by the captain which would normally be a glass of wine with dinner and the odd beer. If the cruise is of interest to you please get back to me with further reasons that you would like to join us and your availability . Normally we will be at anchor at the various stopping points and not put into marinas unless there is a need. Perhaps Gibraltar (or La Linea) might be an exception. I have a Moody 37 – 2 cabins plus Saloon AND 2 heads! – currently ashore in Fehmarn. Intend re-launch May With idea of sailing around Danish Baltic harbours and Islands. World be delighted to have Crew for week or weekend or even day to start with. Visit Lovesail.com to find a community of sailing enthusiasts for dating, friendships and crewing opportunities. A run down of the January crewing posts 2018 from the Lovesail members. For more details visit the crewing section of the Lovesail site. I am looking for crew to sail my yacht from Rocella Jonica in southern Italy to Gibraltar in May 2018. The trip will be more delivery orientated rather than cruising, so just a couple of planned stops. Route-Sicily, Sardinia, Balearics, Southern Spain coast. I have found myself in Florida with a month or two to sail. If anyone needs crew or know someone who’s heading down to the Keys or the Bahamas, or Beyond I have got some time and would love to share an adventure! Let me know, I can be ready anytime. I am looking for a female crew member to help me sail my new Jeanneau 44DS from Port Leucate in France to Kas in Turkey beginning early April 2018 and aiming to arrive end of May. Stopping at Corsica, Sardinia, Sicily, Malta, Italy and various Greek islands on way. Looking for a friend and first mate aged 45-57. You will have your own cabin and heads/shower. I will have friends joining from time to time for parts of the trip so there will often be a mixed crew. Looking for crew for a roundtrip trip to Cabo San Lucas – San Diego, February 1st. 2018 on my Hunter 49. If you’re a positive and happy person and interested in joining the crew, let me know and we can chat on Skype or FaceTime beforehand. Some sailing experience required. Lovesail.com is a global online dating and social networking site solely for sailing enthusiasts. Join our friendly community to meet other like-minded soul mates for dates, friendships and crewing opportunities. Here is a round up of some of the Winter crewing posts 2017 from Lovesail members. If you would like to muster more details just log into your Lovesail account and visit the crewing section. 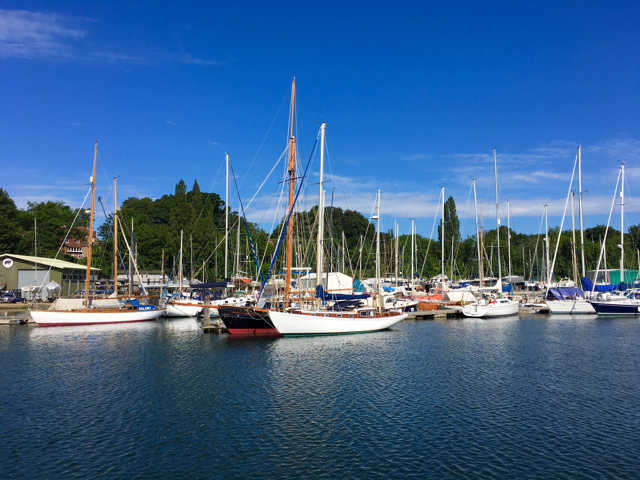 If you are not a member of Lovesail yet then come and have a look at the site, it might just be what you are looking for. check out details on the website Cape Town Sailing. The trip up on the 1 – 3 Dec is fully booked but have places for the return journey the following week. 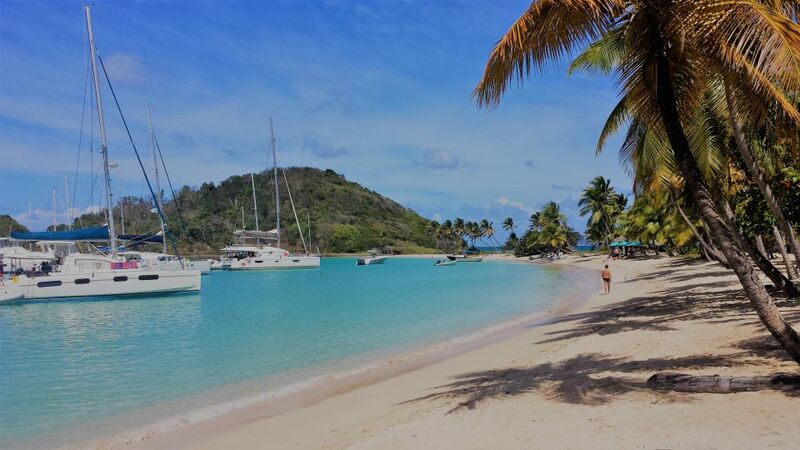 Caribbean 2018 – January to March Windward…..
Leave St. Croix early January and return in early March. Hope to make it to Trinidad with stops along the way. Looking for good dive locations. Looking for casual, competent, and laid back crew with good chemistry. I’m based on the East Coast of England. 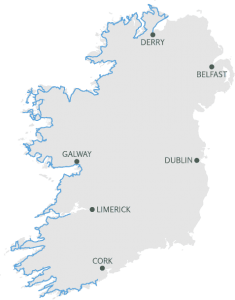 I’m looking for someone who might like to sail on the East Coast early next year, with a view to sailing down to Portugal later in the year. My boat is a Vagabond 41 ketch. An exceptional blue water boat in which I have sailed many miles. Doing sea trials to the Channel Islands next few months in preparation for circumnavigation. Company would be fun and no experience necessary. I’m just putting a 39 foot Bavaria in at Swanwick with a view to getting in some sailing over winter. Please let me know if you are interested in crewing. First attempt at using this Crewing Group function so excuse if info is a bit short at this point. Lovesail is an global online dating site for sailing enthusiasts. Members meet up for dating, sailing friendships and crewing trips. As the summer seasons draws to a close, there are some Autumn Crewing Posts 2017 from the members that might pique your interest. I am finalizing the purchase of an AMEL 54 currently located in NEW CALEDONIA. D. possibly available for sailing arnd NEW CAL. This would start late December 2017 possibly (but unlikely) earlier. Presently looking for a crew to join me on a delivery trip NSW (Newport) to VIC (Geelong) Departing Sunday 8/10/17 on my newly acquired yacht. Some Passage making and Navigational watch experience desirable. I’ll be cruising around Brittany the last week September, first half of October if anyone fancies a sail during this time. 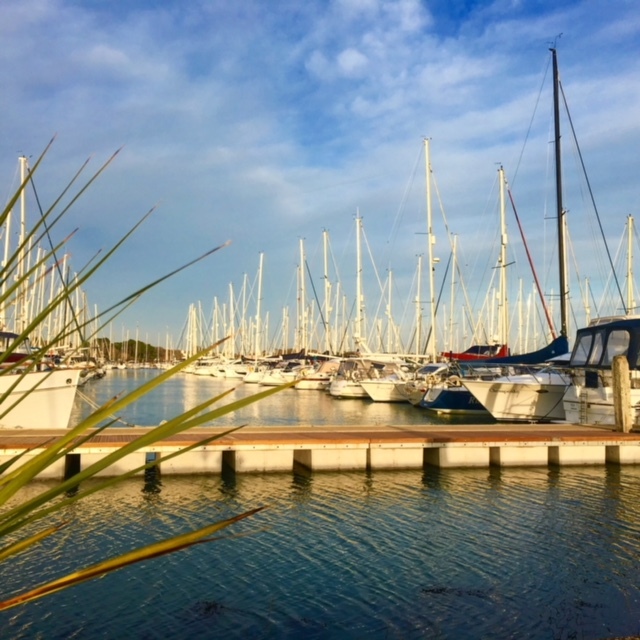 Pretty relaxed day sailing with no fixed agenda on a well equipped 36′ Jeanneau, stopping in marinas most nights. Not too fussed about experience as long as you’re happy to be involved in sailing the boat. Currently Organizing 2 boats and crew to sail through the Canadian Arctic Northwest Passage. Currently have a Hans Christian 43T Ketch and looking for another group and boat that would like to join this expedition. Lovesail.com is a dating and social networking site run exclusively for sailing enthusiasts. Join our friendly sailing community to meet up for dates, friendships and crewing opportunities.